If you are traveling around the country to participate in activities you know will be dangerous, you need to be prepared for that danger. You never know when you may become severely injured and without a backup plan in place this should be disastrous. Danger lurks around every corner, so the more precautions you take, the better off you will be. 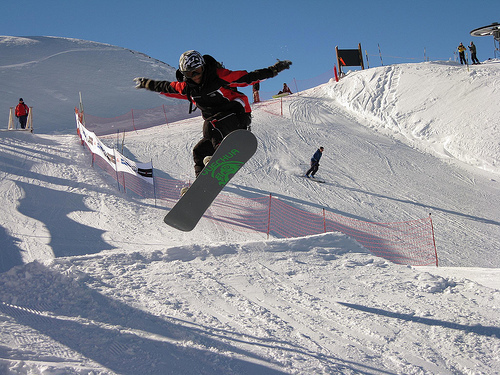 In this article we are going to cover travel tips for sporting travel. You would be wise to visit your doctor for a full checkup before you leave on travel. If you have some underlying condition or illness you do not know about, this can negatively affect your experience and make your already high risk activities even riskier. The time to find out your body can’t handle something is before you try to do it, not afterwards. Engaging in dangerous recreational activities without being cleared by a doctor first can end up deadly. Anytime you engage in dangerous recreational activities on a regular basis you will want to purchase life insurance, regardless of your age. Many people do not purchase a life insurance plan until they have or are about to start a family. Since you make a habit of participating in activities that can cause you harm, you can’t afford to not have life insurance even if you don’t have a family to support and don’t plan to in the future. Just know that because you engage in high risk activities, it is likely you will have to pay more for your insurance policy than others would. This is simply the price you pay for participating in activity you know is dangerous. Depending on the area you are traveling to you may need to be vaccinated before going there. This is another good reason to visit your doctor before leaving for this type of travel. Certain countries, or parts of those countries, may contain something in the water or food that will make you sick if you ingest it. Following these four travel tips before you leave can go a long way in making your experience safer than it may have been otherwise. Ever wondered what a villa holiday would be like compared to your normal holiday in a hotel in one of the hundreds of busy resorts throughout the Mediterranean? One of the most popular destinations for this type of holiday is the island of Mallorca in the Balearic Islands. Probably the first thing that comes to mind is the fact that you will be totally independent. You can select a villa for just the 2 of you, or a villa that will be suitable for a large group. Take it easy and take advantage of the fact that you do not have to be up and ready for breakfast to coincide with the opening times of the hotel dining, or breakfast room. You can have breakfast at whatever time suits you. You can also relax in the knowledge that if you lie in and take a late breakfast, the sun loungers around your private pool will still be available, and you can even move them to a shady spot on your terrace. If you are not particularly bothered about a swimming pool, then you can select a villa with just a private garden. The majority of villas come with a BBQ [ranging from a small poolside BBQ to a large area complete with preparation area and small kitchen]. This enables you to break away from the pool for lunch or dinner to be taken around your patio furniture. However, if you prefer to eat out, you can choose a villa where there’s a variety of restaurants available in the vicinity. One factor to consider is where you would prefer your villa. Would you prefer to be near to a resort or town where you can go during the evening, or a rural villa where you can explore the countryside, or even a villa near to a beach. In summary, when you choose a villa holiday, you are deciding you want a break that gives you freedom to come and go as you please with the independence to be able to eat when you wish without the constraints a hotel places on you. If you’re an innate thrill-seeker with a penchant for the unknown and explosive, you absolutely have to try out the reportedly scariest rides in Disney World Florida. This is one surefire, proven formula that will give you a natural high and sudden adrenaline surge while having fun with your family and friends! Better start planning your Disney World adventure even before you step into the premises, so that you can head on to the rides and attractions you love without wasting any time. Get your Tickets to Disney now and prepare to have an unforgettably enjoyable experience. From the name itself, you already know it’s going to be an electrifying combination of heights and wet splatters. For those quite new to scary and gripping rides, this is the perfect introduction. With a moderate drop in the middle and a spine-tingling, mind-blowing one towards the end, you’re surely going to enjoy the journey and give off quite a few head-turning screams. Ever watched those old Western and cowboy films? You’ll feel as if you’re in one while aboard this speedy roller-coaster ride. Although there are no drops, expect plenty of unexpected turns that will boost your adrenaline and give you a delightful, breathtaking experience. An exciting roller-coaster set in the Himalayas, you’ll definitely love this one as the coaster brings you into the dark terrors of the mountains. 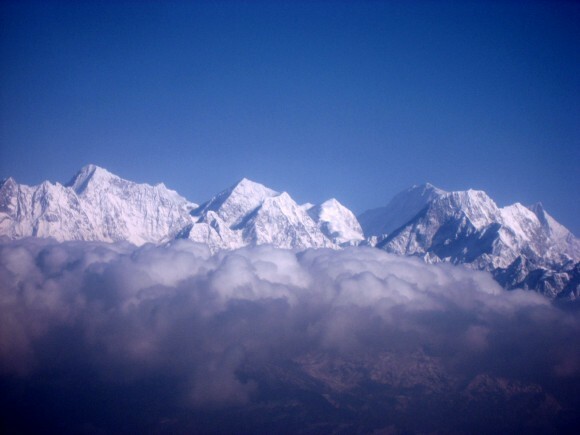 The story of trying to avoid the Yeti on the loose makes it even more fascinating. Isn’t it right that one fear many people have is getting stuck inside an elevator and dropping in great speed towards the ground and onto their final breath? 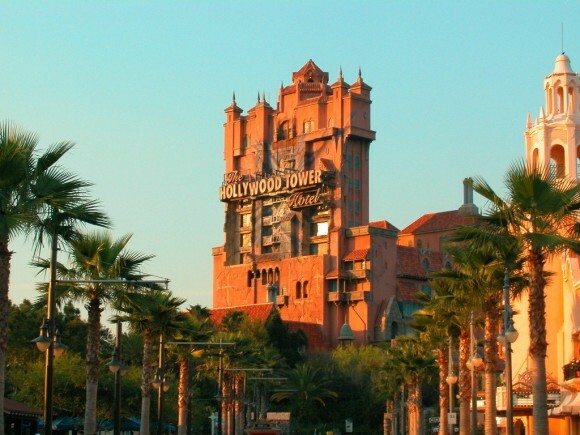 This particular ride lets you experience just that with the illusion that you’ve entered a Hollywood hotel and got trapped in an elevator, minus the deadly part of course. Don’t worry, it’s safe. However, you have to brace yourself for the scariest and tallest drop of your life! The story behind this roller-coaster is that you’re about to be late for an Aerosmith concert so the car you’re riding speeds up on the road, zips and zooms through several loops, turns, and drops to get you there on time! With the flashing lights and rockin’ music of Aerosmith in the background, you’ll definitely have great fun while getting scared out of your wits too! If you’re thinking of an exciting vacation in the city, this is it for you. 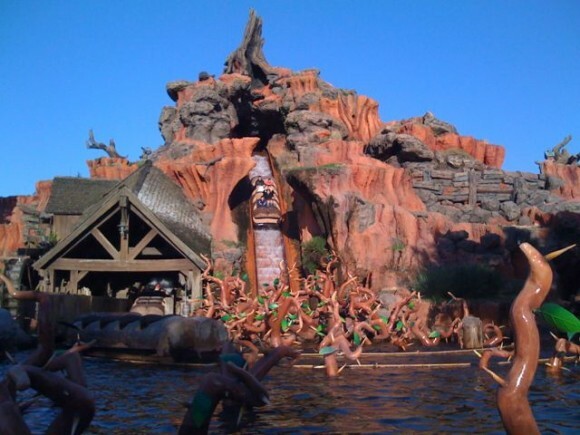 Don’t miss out on these amazing rides when you drop by Disney World in Florida. No trip to Egypt would be complete without a visit to Giza to see the impressive pyramids and wondrous sphinx. Many cruises offer excursions to Giza where you can immerse yourself in Ancient Egypt and take-in three of Egypt’s oldest and greatest monuments, the pyramids. Nearby, you can marvel at the Great Sphinx and ponder over the legacy of his missing nose. There are even locals offering camel rides for an extra slice of Egyptian culture. The Valley of the Kings provides a fascinating historical day out for all to enjoy. Explore the tombs of ancient Egyptian royalty and look on in awe at the exquisite decoration of the tomb. Tutankhamun’s tomb is a popular choice for most tourists; however it is actually is not the most impressive tomb that Egypt has to offer. Most of the tomb’s original decoration is stored in a Cairo museum. The tombs of Ramses III and Ramses IX offer far more to see, with beautiful engravings that are still in excellent condition. 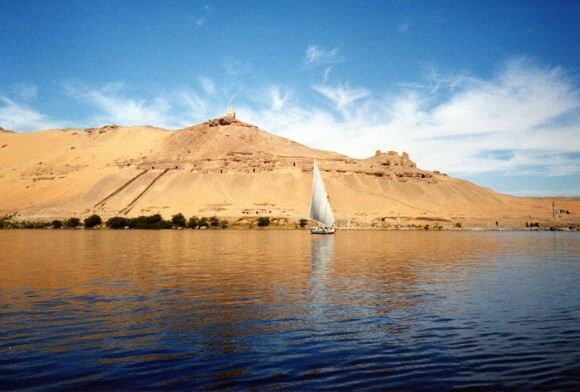 Taking a river trip along the Nile is an excellent way to see a lot of what Egypt has to offer. 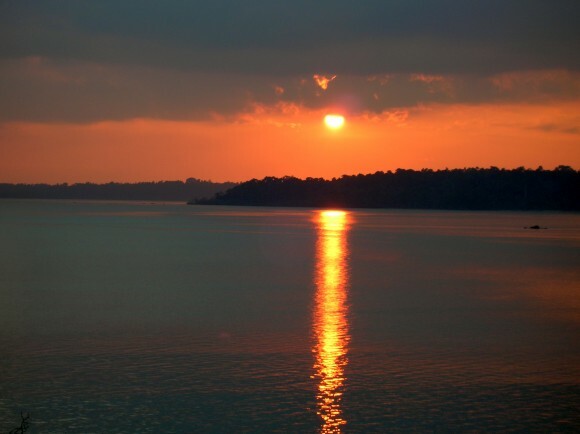 The longest river in the world is flanked with Egyptian beauty and culture. Most boats provide lunch or dinner and traditional Egyptian entertainment is available. Most Red Sea cruise itineraries call at Aqaba in Jordan. From here, you can visit the Dead Sea; a saltwater lake that is over eight times saltier than the sea. Hundreds of tourists flock to the Dead Sea every year as the high salt content of the usually warm water makes it easy to float and unwind in the Jordan sun. The black mud of the sea bed is packed with essential vitamins and minerals, making it a perfect face mask. 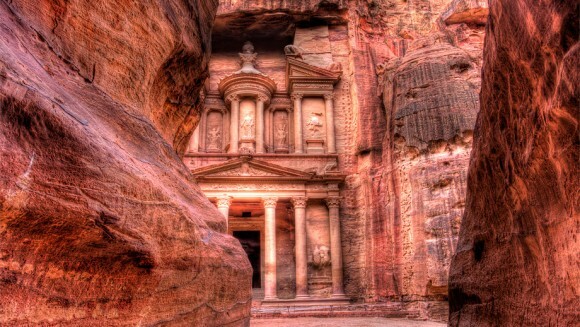 A visit to Petra is a must if you want to visit a world-famous location. Petra has featured in a number of blockbusters, with the impressive architecture of the temple of Al Kazneh featuring in Indiana Jones and the Last Crusade. Likewise, Petra was a key location in the 1942 film Arabian Nights and the more modern Transformers: Revenge of the Fallen. 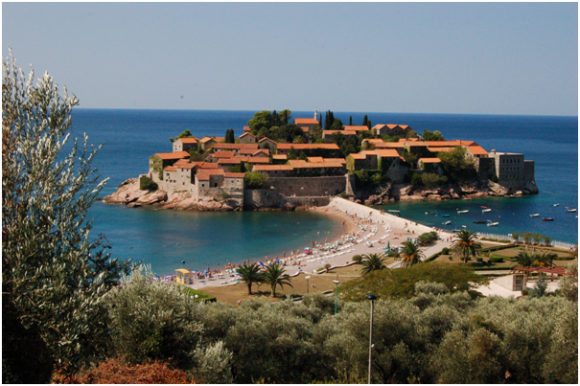 Excursions regularly run to the local area, where you can experience the real-life movie sets. Choose a cruise itinerary that will allow you to visit as many of these attractions as possible to be sure you have the best Red Sea experience possible. As enticing as a week spent on a white-sand beach might sound, nothing can compare with an adrenaline-packed summer holiday in the heart of some of the most fascinating European mountains. Regardless of what your next adventure destination will be, if you plan it wisely, you’ll definitely enjoy it to the fullest! When it comes to an adventure holiday, one of the most important things that you have to keep in mind is choosing a cosy accommodation that will suit your needs. After countless hours of climbing rugged mountains, horse riding or trekking, an inviting apartment where you can share a bottle of wine with your friends and family once the night settles is exactly what you need. Once you choose your destination, check GowithOh and book your comfortable holiday apartment for you and your dear ones. One of Eastern Europe’s highlights when it comes to picturesque landscapes and untouched traditions, Romania is a heaven for all the adrenaline seekers out there. With its breathtaking mountains and natural beauties, Romania holds one of the few unscathed wilderness in Europe. From the astonishing Piatra Craiului Mountains to the charming Transylvanian Alps, this superb country is the perfect destination for travellers looking to have an unforgettable adventure. You can explore Romania’s old villages, admire a wide range of wild animals’ species such as wolves and bears, and taste some of the most exquisite local dishes such as the traditional “zacusca” and the delicious cheese specialties like “caş” and “telemea”. Not to mention that Romanian people are incredibly friendly and if you manage to make some local friends, they will be glad to introduce you to their fascinating culture. If you are lucky, you might even get a chance to witness a Romanian traditional dance performance in a remote village, in the heart of the mountains. 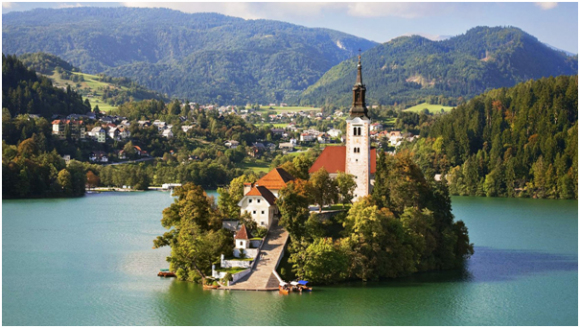 Slovenia’s Lake Bled is one of the most beautiful landscapes that Eastern Europe has to offer. Featuring a wide palette of activities for travellers around the world, this amazing place is great when it comes to exploring the medieval castle located nearby. During the summer, tourists can swim to the mesmerizing Bled Island or simply relax by the lake and enjoy a traditional drink. A culturally rich city, Ljubljana is one of Slovenia’s must sees, so make sure you tick off this exciting city from you holiday adventure list. Adventure holidays in Montenegro are a great way to admire dramatic mountain scenery along with fascinating local traditions and untouched natural beauties. A few of the places that you don’t want to miss once you land in the pearl of the Mediterranean are as follows: the breathtaking Durmitor National Park, the startling Tivat Porto and finally, the impressive Boka Bay. Other worth experiencing destinations for the adventure aficionados include Croatia’s superb panorama, the beautiful Czech Republic and last but not least, the green heaven of Slovakia. All these destinations are perfect for thirsty travelers looking to explore amazing lands and experience an unforgettable adventure. Do you like sports? Most people think of Las Vegas as a gambling city and show town, but there are also many major sporting events held there every year. This year, there are sporting events ranging from summer baseball to horse shows and everything in between. If you love sports, you won’t want to miss visiting Las Vegas and viewing an exciting sports show. If you love classic baseball, then you won’t want to miss Las Vegas’ very own baseball team. The Las Vegas 51’s are ready to take on assailants and take back their city. The large field and spectacular stadium makes this game a must-see for fans of baseball. Do you love horses? Then you will love this classic horse show held at the South Point Hotel. The horses will strut their stuff and you can expect to see a day full of classic horse riding and training that will enchant long-time horse lovers and those new to the world of horse shows. The best thing about this show is that is it completely free. If you love wrestling, then you won’t want to miss this exciting live wrestling event. FSW has a roster full of famous wrestlers from around the world with experience in WWE, Japan, TNA, and more. Nothing is better than classic basketball, and although the summer is not normally when basketball is in session, in Las Vegas, they make an exception. You can have the chance to watch basketball summer league first hand at one of the many games played by the University of Nevada Las Vegas and more. You will enjoy classic basketball fun in a laid-back setting. Love football and beautiful ladies? Who doesn’t? In this fun sporting event, beautiful ladies dressed in lingerie play football together. But don’t let the skimpy costumes fool you, these ladies are tough and really play to win. You won’t want to miss the up and coming lingerie football league that is sweeping the nation and gaining popularity by the day. For one day only, you can watch the Monster Energy Cup, featuring the top motocross riders in the world. The riders compete in three different events that mix super cross and motocross in one exciting night. Racing fans won’t want to miss this exciting event! Feeling hungry? Japanese cuisine fan? Swish Japanese Hot Pot should be your Las Vegas stop-off place to spend your (hopeful) winnings at the end of your Vegas trip. If you are a sports fan, you don’t have to skip Las Vegas. 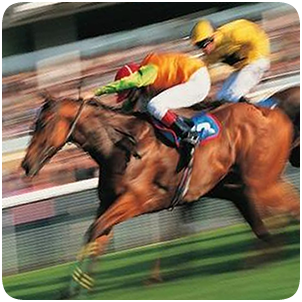 No matter what time of year you visit, there is sure to be a sporting event going on. 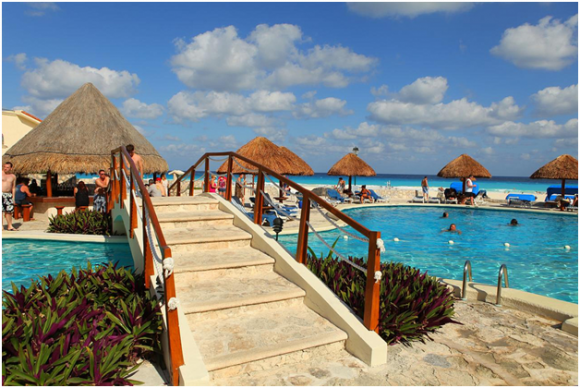 Cancun holidays are the perfect escapade for those seeking to have a wonderful time and also a blast trying out amazing water sports whilst being surrounded by a laguna of fresh, clean and sparkling water. No matter what your heart desires, a holiday spent in Cancun will certainly be everything but boring. If you travel with your friends, kids or if you are looking to have a romantic vacation such as a sweet honeymoon, you’ll be amazed at how splendid this stunning destination can be. From spas, luxury resorts, late night bars, shopping villages, cinemas to water parks and old taverns, Cancun is the ideal place to charge your batteries while feeling like stepping into paradise. If you ever get an opportunity to have a last minute holiday in Cancun, pack your bags and get ready to embark on a spectacular adventure, filled with divine landscapes and a wide pallete of activities to enjoy. Every dime spent on this vacation will be worth it. The weather in Cancun is usually great but the best months to travel are between May and November, when the chances of a tropical storm to happen are almost zero. If you’re not a hot, steamy weather fan, then September is your month to vacate. Cancun has a very strong cultural influence so be sure to take advantage of this. Visit Actun Chen, a small place outside Cancun where you can admire natural caves and impressive sculptures. To the south of Cancun you’ll discover plenty of villages that still manage to keep an old untouched factor of the Mexican genuine charm. If you get the chance to plan your holiday to Cancun in April, which marks the anniversary of Cancun, you’ll be mesmerized with the way Mexicans know how to celebrate and see their tradition and culture in action. On Halloween, Cancun celebrates All Soul’s Day, when all the place is filled with candles and flowers, making a nice holiday scenery. While in Cancun you can engage in all sorts of activities.The beaches are perfect for jet skiing and parasailing ; you can also try sailing, kayaking or windsurfing with the help of professional instructors ready to teach you different tricks. If you don’t fancy adventurous sports, opt for golf or relaxing walks around the beach. 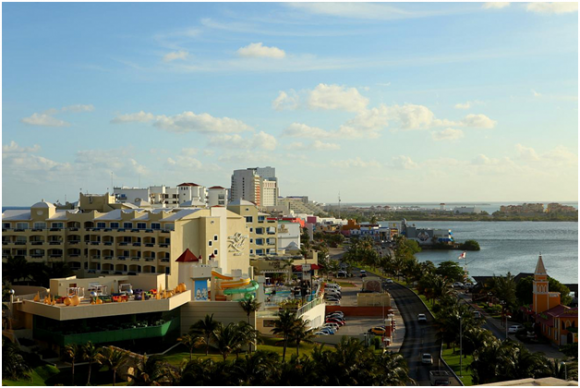 Cancun is ready to be discovered! Just give it a chance and you’ll be mesmerized! Have you ever considered an action-packed adventure in New Zealand? While strolling along Mission Bay in Auckland is all well and good, New Zealand is known for some of the best adventure sporting opportunities in the world. There is literally no shortage of things to do in this outdoor adventure paradise. Let’s take a closer look at what New Zealand has to offer. Hiking, trekking, rock-climbing, glacier walking and ice-climbing – you can do it all and more in New Zealand. One of this country’s main draws is its dramatic landscape, which was formed millions of years ago by the work of glaciers and volcanoes. Some volcanoes are still active today, such as Rotorua and Mount Tarawera. Trips to both can be arranged, and some of the volcanoes even have trails where you can get up close and see the action. 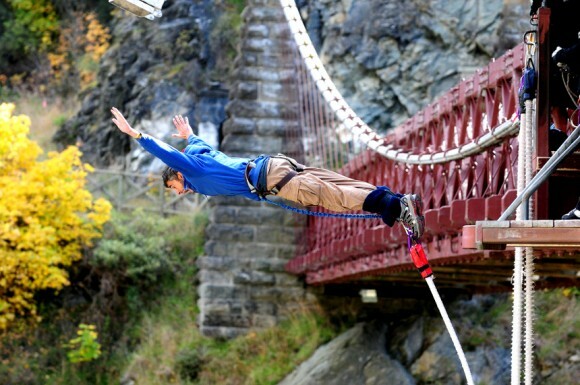 New Zealand is also a premier destination for bungee jumping, hot air ballooning, heli-skiing, and gliding. In particular, some of the best gliding in the world can be found at Omarama, on the South Island, where you can take a tandem flight or enroll in piloting classes. When you’ve had enough time in the mountains and up in the air, you can explore New Zealand’s coast, either in a kayak, a yacht, or on a surfboard. In addition, the area around both the islands offers excellent diving – even cave diving among the sharks near Kaikoura! Convinced yet? While there is a plethora of adventure waiting for you in New Zealand, this destination has the reputation for being expensive. First of all, it’s far away, which means a long flight, and the activities can quickly add up. But don’t worry, there are plenty of ways to fund your excursions. One way you can make extra cash is by working as you travel. Depending on the season, you can get a job picking fruit or working on a horse farm for a few weeks. If you have other skills, like diving, mountaineering or ice climbing, you may also be able to work as an instructor or mountain guide. You can also make money before your trip by going through your closet and selling your excess clutter online. Because the internet gives you the power to communicate en masse, you can sell just about anything online. However, good bets include high quality apparel, fashion accessories, homeware and electronics. For example, you can sell your DVDs and since you’ll be traveling, you won’t miss them. No matter what, though, you shouldn’t let the prices stand in your way of experiencing this incredible part of the world. Book your New Zealand adventure now and get ready for the trip of a lifetime! No half-measures in Texas: a holiday like no other! Giddy-up for fun and adventure in the Lone Star State of Texas. Visiting Texas is like discovering a whole new country. Not only is Texas big in western hospitality, it’s big in size. 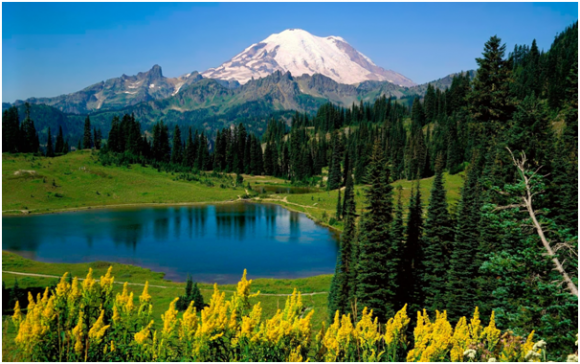 The state is divided into several geographical regions that contain gorgeous landscapes, from sparkling beaches to rolling hills and canyons. Gearing up with some flip flops, western boots and comparing the best rates on travel insurance will ensure that you’re saddled up for a fun adventure. 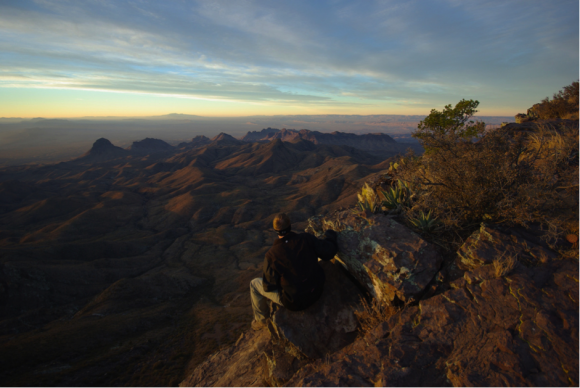 With ruggedly gorgeous mountains, valleys and plains, Big Bend County is exemplary of the wild frontier. Big Bend Country is home to amazing national parks like Big Bend National Park, Monahans Sandhills State Park, Guadalupe Mountains National Park and Balmorhea State Park. Venture to the Chisos Basin at Big Bend National Park and spot the diverse wildlife while hiking the many trails. At the Monahans Sandhills State Park, there are surf sand dunes that rise up to seventy feet, cover two hundred square miles and stretch all the way into New Mexico. Here, you can take a camel back tour and discover the desert wildlife. The Guadalupe Mountains National Park has deep canyons and the highest peaks in the state. There are eighty miles of hiking trails, along with canoe rides in the sparkling rapids. If you’re in the mood for a dip in one of the largest man-made swimming holes, head on over to the Balmorhea State Park. The Gulf region of Texas features six hundred miles of beautiful coastline with quaint seaside towns and plenty of picturesque beaches. At the Padre Island National Seashore, you can snorkel, scuba dive or just bask in the balmy sun. It’s the world’s longest undeveloped stretch of barrier-island beach. In Houston, you can indulge in some award-winning western barbeque that is the hallmark of the state. Along with its amazing food, Houston has a great creative energy and a love for all things cultural and artistic. The Museum of Fine Arts, Cullen Sculpture Garden, Art Car Museum and the Cockrell Butterfly Center are just a few of the venues that demonstrate the city’s commitment to culture. The Gulf Coast is a hot spot for thrill seekers. There are water parks, amusement parks and one-of-a-kind experiences like the NASA Space Center. In Corpus Christi, you can enjoy the colourful sailboat regatta at the Corpus Christi Marina weekly. Hill Country is populated with cacti and bluebonnets that dot its rolling green hills. 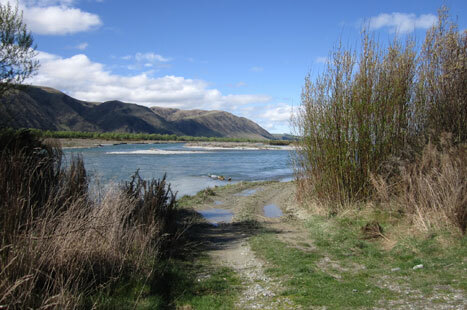 There are many spring-fed rivers and lakes ideal for swimming, rock climbing and mountain biking. At the Cascade Caverns, you can explore spectacular caves, rare wildlife and a nine-storey underground waterfall. Hill Country is both cowboy and cosmopolitan. The area is chockfull of great music venues in Austin and Gruene, where you can honky-tonk till the sun goes down. Gruene Hall is one of Texas’s best dance halls, with a 6,000 square foot dancing area, lighted stages and outdoor beer gardens. At Gruene Hall, you can enjoy music icons like the Dixie Chicks, Chris Isaak and Garth Brooks. Ladies should choose Nail Salons in Houston, TX before a night out here and maybe even take advantge over the Massages in Austin, Texas that are becoming even more popular in this region. The Panhandle Plains is the place to be to watch the twinkling stars at night. The stars are big and bright deep in the heart of Texas. A visit to the popular Abilene Philharmonic Orchestra only adds an impressive soundtrack to the incredible visual experience. One of the most spectacular natural attractions in this area is the Palo Duro Canyon. Its pinnacles, spires and wall stretch over a thousand feet. At the Caprock Canyons State Park, you can horseback ride, bike, hike and even visit an impressive 742-foot abandoned railroad tunnel. Music legend Buddy Holly grew up in the Panhandle Plains, and you learn all about this rock hero’s history at the Buddy Holly Center in Lubbock. At the nearby Depot Entertainment District, you can catch some of the best contemporary Texan musicians. Texas is just one state, but it offers a world of spectacular activities and opportunities for any global trotter. Its welcoming western hospitality, natural beautiful surroundings and fun attractions are a guarantee for lasting memories of the old frontier.